Tokyo is officially known as a "metropolitan prefecture", which differs from and combines elements of a city and a prefecture, a characteristic unique to Tokyo. The Greater Tokyo Area is the most populous metropolitan area in the world. The Metropolitan area of Tokyo is a cultural hub bursting with historical traditions versus the relatively new cities’ buildings and huge shopping obsession. With over 13,000,000 people Tokyo is known as one of mega cities in the world. Many people commute from neighbor cities to Tokyo. During the daytime, the population swells by over 2.5 million as workers and students commute from adjacent areas. In Tokyo, there are 49 buildings and structures that stand taller than 180 metres. Skyscrapers are a relatively recent phenomenon in Japan. Due to Tokyo's location on the Pacific and Eurasian tectonic plates, it is prone to earthquakes. This caused many of the buildings to be lower in height than those of major cities of its size. However, this fact has not deterred Tokyo from building skyscrapers, and the modern-day city boasts more high-rise buildings than just about any other city in Asia - possibly even the world. Engineering is a key feature of Tokyo's skyscrapers, taking precedence over height and beauty. Tokyo Tower is a communications and observation tower in the Shiba-koen district of Minato, Tokyo, Japan. At 332.9 metres, it is the second-tallest structure in Japan. The structure is an Eiffel Tower-inspired lattice tower that is painted white and international orange to comply with air safety regulations. Built in 1958, the tower's main sources of income are tourism and antenna leasing. Over 150 million people have visited the tower. At the center of Tokyo, the Tokyo Imperial Palace is located as the primary residence of the Emperor of Japan. It is a large park-like area located in the Chiyoda ward of Tokyo and contains buildings including the main palace, the private residences of the Imperial Family, an archive, museums and administrative offices. It is built on the site of the old Edo Castle. The total area including the gardens is 1.15 square kilometres. The modern palace is designed by Japanese architect Shōzō Uchii and was completed in 1993. The Palace complex contains buildings including the main palace and other buidlings. The palace is surrounded by a water-filled moat and tree-covered grounds - a precious taste of nature within the bustling metropolitan city. I sat with Leonardo in a sunny afternoon in a café in Milan, at the Piazza Mercanti (Market Square). The square dates back to the 12th and 13th centuries and was the commercial centre of the city. Various traders, such as bakers, cobblers, and tailors conducted their business here. 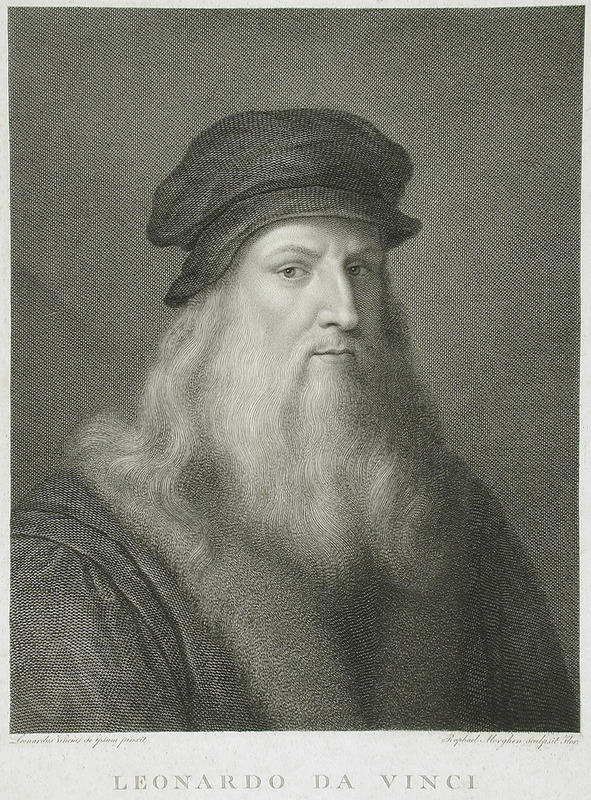 Leonardo, as usual was in his dandy style and his perfumed air, wearing a rose-pink tunic. He seemed at ease with himself, sipping his cappuccino. “ Aside from paintings you are also well known for your ideas on engineering, anatomy, geometry, and other scientific observations of nature. “Nothing originates in a spot where there is no sentient, vegetable and rational life; feathers grow upon birds and are changed every year; hairs grow upon animals and are changed every year, excepting some parts, like the hairs of the beard in lions, cats and their like. The grass grows in the fields, and the leaves on the trees, and every year they are, in great part, renewed. So that we might say that the earth has a spirit of growth; that its flesh is the soil, its bones the arrangement and connection of the rocks of which the mountains are composed, its cartilage the tufa, and its blood the springs of water. The pool of blood which lies round the heart is the ocean, and its breathing, and the increase and decrease of the blood in the pulses, is represented in the earth by the flow and ebb of the sea; and the heat of the spirit of the world is the fire which pervades the earth, and the seat of the vegetative soul is in the fires, which in many parts of the earth find vent in baths and mines of sulphur, and in volcanoes, as at Mount Aetna in Sicily, and in many other places." “Aside from that, I was also thinking about how to make a flying machine learning from the movement and the configuration of the bird’s wings. What are the differences in air pressure above and beneath a bird’s wing, and how might this knowledge enable man to make a flying machine? The flying machine must imitate no other than the bat, because the web is what by its union gives the armour, or strength to the wings. “It is the moment after Jesus said ”One of you shall betray me…”. The painting shows the emotions of love, dismay, and anger, or rather sorrow, at the apostles failure to grasp what Jesus means. Bartholomew who was drinking and has left the glass in its position and turned his head towards Jesus. James, twisting the fingers of his hands together turns with stern brows to Andrew. And Andrew, with his hands spread open shows the palms, shrugs his shoulders up his ears making a mouth of astonishment. Thomas thrusts himself with finger extended as if to prod Jesus to explain himself more clearly. Peter speaks into John's ear and as John listens to him, Peter holds a knife in one hand. Judas is grasping a small bag of the 30 pieces of silver he has been paid to betray Jesus and has knocked over the salt pot - another symbol of betrayal. “ Thanks Leonardo for the chat, I see you would be remembered in history as “The epitome of a Renaissance man”. This is an imaginery interview in memory of Leonardo da Vinci.